Bats are pretty fascinating creatures, when you think about it. They use echolocation to navigate in total darkness and to detect and capture food on their wings. They can eat up to half their weight every night, devouring moths, mosquitoes, beetles, crickets, and grasshoppers with machine-like efficiency. A solitary little brown bat can capture up to 600 insects in an hour. Incredible stuff, but nevertheless, you don’t want bats inside your house. In spite of the amazing things bats can do, they can also harm humans. Bats may attempt to bite people who handle them, and they can transmit rabies. That’s why it’s important to understand some of common bat habits, and how to prevent your home from turning into a bat cave. In the late summer and early autumn, some bats take flight and migrate to warmer climates for the winter. Others make shorter trips to local caves where they hibernate, and some look for a local hibernation spot, like a chimney or small opening in the exterior of a house. Brown bats generally fall into that last category, and they often make short flights between buildings and other structures, like caves and hollow trees, until they find appropriate spaces in which to hibernate, spaces where they will be protected from the imminent freezing temperatures. Bats can turn your home into theirs, or they may simple enter your house accidentally, through crevices along the edge of the roof, through unscreened air vents, or through small openings on the building façade where brickwork has eroded. To identify the areas where bats are entering or leaving a building, two or more people should pay close watch to a building’s exterior shortly after sunset, ideally during the warmer summer months. It may take an hour or so for all bats to leave a building on given evening, and they’ll usually stay indoors on cold, rainy nights, which means you can too. The most effective and environmentally friendly way of blocking bats from entering, re-entering, and staying in your home is to close off the openings on a building’s exterior. It’s important to seal off any such openings only when the bats are out of the building. Bats typically reside inside buildings during the day and depart at dusk, so nighttime is the best time to seal the openings. You can fill the openings in your home’s exterior with metal, wood, or plastic foam insulation. It’s best not to attempt a patch-up job during the bat’s maternity period, typically late May to mid-July. If you seal up openings during that time, you run the risk of trapping small bats too young to fly inside your house. The fall is an ideal time to seal any openings you have identified, as bats are likely to be on the move during in the evenings, looking for a new place to call home for the winter. Many bats hibernate in buildings during colder months, so it’s not advisable to seal openings during winter, again because of the possibility of trapping bats indoors. 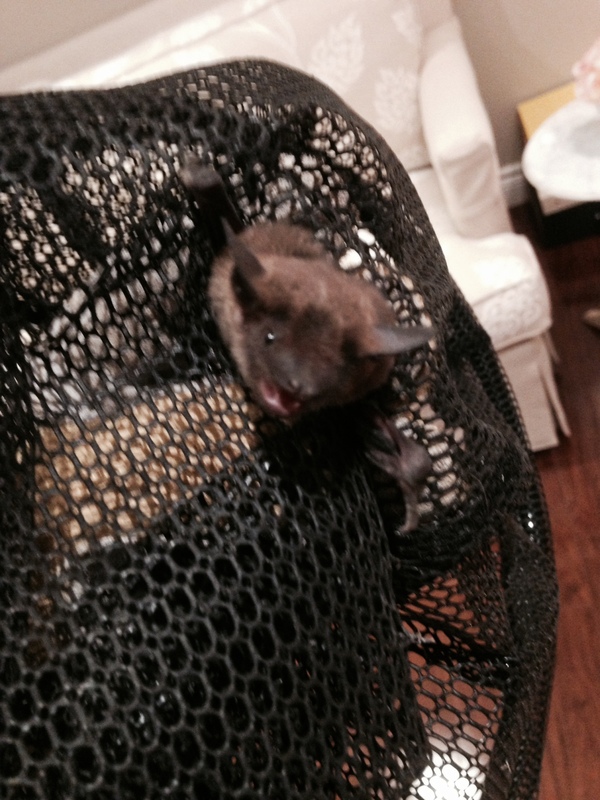 Any Pest are Bat removal specialists. We install one way exits so bats can leave your attic, but not get back in. 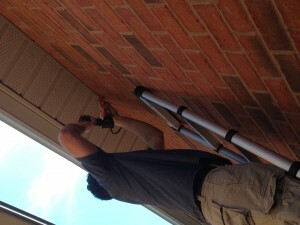 We also can find the trouble spots where bats are entering and patch those spots up so they can’t get back in. 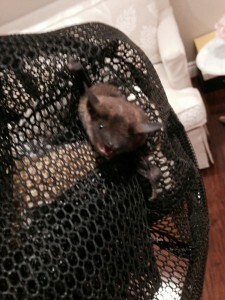 Why live in a home where the attic is full of bat poop, when you can bat proof your home for the fall and not have these little furry visitors camping in your attic or fireplace. This entry was posted in Blog on 2014/09/02 by Any Pest.